With energy costs continuing to rise, the demand for closed cell polyurethane foam has soared. Closed cell polyurethane foam has many energy saving and air/moisture barrier advantages over conventional insulation, i.e. fiberglass and cellulose. Higher energy efficiency – Exceptional air sealing and R-values greater than 6 per inch result in heating & cooling cost savings. This can allow smaller stud and rafter sizes for increased living space and simplified framing. Drafts are virtually eliminated and a more constant and comfortable indoor environment and temperature is maintained. Closed-cell spray foam offers superior performance in resisting moisture transmission and condensation because of its low water vapor permeance. When sprayed at a 2” thickness, it provides a vapor retarder with a 1 perm rating. Research performed has shown 2x4 stud walls with closed-cell spray foam can support up to three times greater racking loads than with other insulation materials. Wind uplift resistance can be increased up to three times when closed-cell spray foam is applied under a roof deck. Helps prevent uncontrolled outdoor air infiltration and the penetration of dust, pollen and other allergens, creating a cleaner, more comfortable work environment. Spray foam can help reduce noise transfer and sound penetration because of its Sound Transmission Class (STC) rating of 37. It also has ability to control air flow because it’s an excellent air barrier. It even has the ability to control insects and rodents from entering the building because it acts as a continuous and seamless building envelope barrier. Tightening the house envelope enables the use of smaller HVAC equipment. Spray foaming under the roof deck creates semi-conditioned attic space for air handling units and ductwork, allowing the HVAC system to operate more efficiently. Eliminates multiple installation steps for air barriers, detailing and vapor retarders where required by code. One-step installation can help reduce construction time and simplifies subcontractor scheduling. Can be used in both wood & metal framed structures, including walls, floors, ceilings, under roof decks, on attic floors, crawl spaces, basements and foundations. Closed-cell spray foam insulation can help builders attract buyers, reduce construction costs, and reap the rewards. Not only does closed-cell spray foam allow you to build more energy-efficient homes that today’s buyers want, it also helps you do it for less. Thanks to its superior insulating and building envelope capabilities, you can effectively downsize HVAC equipment and eliminate steps for airtightness while achieving premium sales prices. Plus, it allows for added flexibility in framing and covers a wide range of applications, like wall, roof, basement, rim joist, and architectural details. And compared to other insulation, it can reduce your overall construction time – making closed-cell spray foam a differentiator that can add more to your business. The demand for open cell polyurethane foam or 1/2 pound foam has also increased in recent years. Open cell foam was marketed heavily by the Canadian company Icynene but is now made by several manufacturers. We install an open cell polyurethane foam manufactured by Lapolla Coatings. 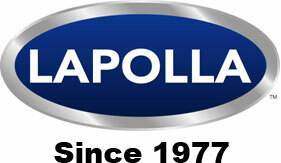 Lapolla is a world leader in the foam industry and manufactures a excellent open cell foam product. We have been installing the Blow-in-Blanket System for over twenty years. Loose-fill fiberglass insulation is blown behind a nylon netting dry, not wet. Other systems blow insulation in wet and introduce moisture into the wall cavity which can lead to moisture problems.